Qualcomm’s Snapdragon 710 announcement has the potential to shake things up when we are ready to buy our next phone. I’ve always been a fan of “mid-range” silicon. Whether that means overclocking the living daylights out of a Intel Core i5 or AMD FX CPU or optimizing software parameters for middle of the road SoCs in mobile (my HTC Hero was hella fast with my own version of Android on it), squeezing every last drop out of a clock cycle is my kind of fun. Most of the time any optimization also scales upwards and downwards, meaning low-end hardware becomes more usable and high-end hardware seems like magic when you turn it on. More importantly, I’m a fan when a company that makes these parts does it itself. 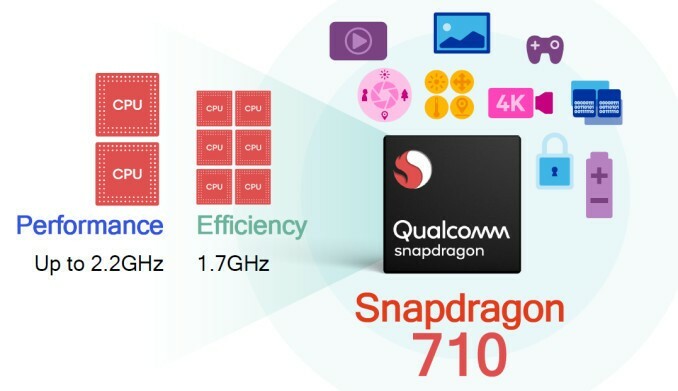 And Qualcomm looks to have outdone itself with the coming Snapdragon 710. It’s more than a better Snapdragon 600 series; it’s an entirely new type of product that has the potential to change buying habits. On paper, the 710 looks like a really good mid-range SoC. In reality, it’s more like an inexpensive high-end SoC and shares more features with the Snapdragon 800 series — the chips that power the Pixel phones and Galaxy S phones and every other phone creeping towards the $1,000 line — than it does with the tried-and-true 600 series. 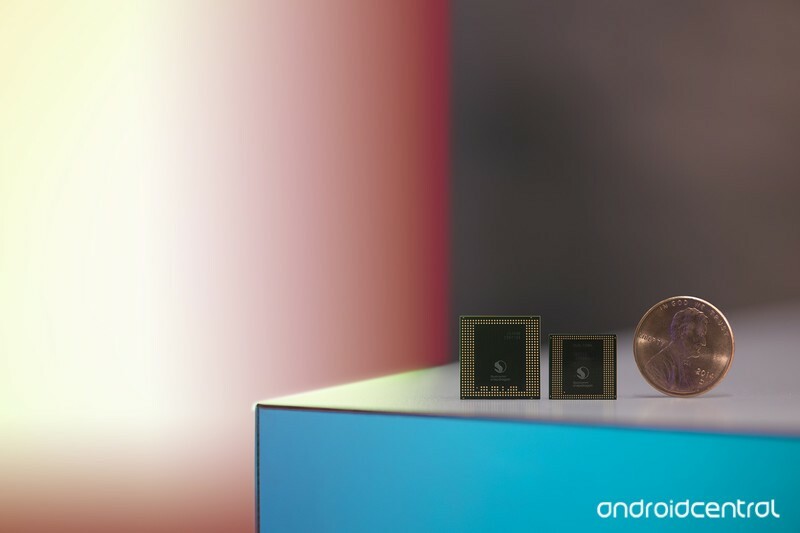 This chip is not an improved Snapdragon 660. It’s a Snapdragon 835 that’s been sensibly scaled back. I thought the Snapdragon 600 line was a great value. By using one, a manufacturer could shave money off the price and still have enough hardware at its disposal to do almost anything you would want a smartphone to do. But there was a fairly large performance gap between the 600 and 800 series of chips, especially when it came to the things other than raw performance per clock cycle. 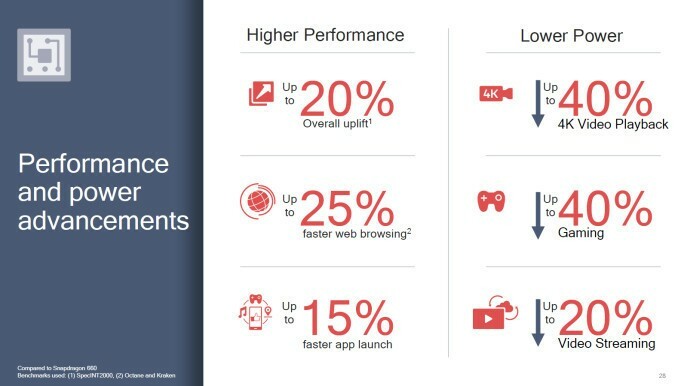 Other, equally important performance metrics like image processing and network speeds were far superior on a phone with a Snapdragon 800 series than any other chip Qualcomm had to offer. That’s where the 710 shines. From the ground up it’s designed to deliver flagship-class performance without the flagship price. Its built on the exact same 10nm process as the 845 (and future 800 chips), which means it’s incredibly power-efficient. This is more than “better battery life” because power efficiency affects thermal performance and longevity of almost every other component on a phone’s board and the battery. If this were the only change from the 600 line of SoC, it’s enough; better battery life, better performance for a longer time, and an increased life for all the hardware is nothing to sneeze at. 10 nanometer fabrication is the biggest advancement in chip design in the past 10 years. Sometimes less is more. It’s not the only change though. A mobile SoC (System on Chip) isn’t the CPU. It’s a piece of hardware that can be soldered to a board that includes the CPU, the GPU, various signal processors, and networking components, all in one module. The 710 is using the newest generation of individual components inside the SoC just like the 845 is, which nobody expected and makes me very happy. A quick peek into the specs — don’t worry, I won’t let it get too boring here — shows a BIG.little CPU configuration with the same high-powered cores as the 800 series paired with a new set of efficiency cores based on the A55 CPU design. There’s a 600 series Adreno GPU, a 685 Hexagon DSP, a 200 series Spectra ISP, on-board system cache, an upgraded X15 LTE modem package and pipes for 10-bit HDR. These components are what you would expcet to see in an 800 series chip, not a mid range chip. In real world usage, that all translates into a few important upgrades over the previous mid-range champ, the Snapdragon 600. Your photographs will be processed using the same engine that the Galaxy S9 uses, as will the effects engine for features like bokeh and portrait mode.. So will your phone audio. Modem features like 4X4 MIMO and LAA (License-Assisted Access) are also something we see in the 800 series chips and will mean better data speeds, though capped at only 800 Mbps. The 10-bit wide pipelines mean HDR capture and display, which should pair well with a GPU capable of 4K-30/60 playback while using less power than a 660 chip to do so. This isn’t a mid-range chip the way we know mid-range chips. I think the 710 will also do something you can’t list on a spec sheet — allow companies to build phones we want to buy that don’t cost $1,000. Allow me the liberty to use Apple as an example here. Apple’s iPhone 8 is the company’s bread and butter flagship for 2018. It’s an engineering marvel, and ranks up there with the Galaxy S9 and Pixel 2 as the best phones you can buy in 2018. But it’s not the expensive model — that’s the iPhone X. A Snapdragon 710 would let Samsung build a Galaxy SX (yes, I went there) that does everything we expect and does it very well without driving the price any higher than the Galaxy S9 retail. The Note X could then use the newest breed of Snapdragon 800 chip for users who wan’t the most performance possible and are OK with paying more for it. The Snapdragon 845 was designed to power a Microsoft Windows laptop, complete with overhead like Direct X and about a gazillion mismashed 32 and 64-bit background processes running. Many of the components used in an 845 SoC aren’t being used to their full potential when it’s inside a phone. In plain English, that means you don’t need a Snapdragon 845 to power your Galaxy S9, but a Snapdragon 660 just isn’t going to cut it. In comes the Snapdragon 710 to fill that void with hardware fully capable and everyone is happy and Timmy was rescued from the well. Am I dreaming out loud here? Of course, that’s what I do best. Odds are the next big thing from the next company to release a flagship smartphone will use the newest Snapdragon 800 SoC and be sure to tell us all about it in product sheets and an unveiling event. But you need to know it doesn’t have to, and that the phone not getting all the attention which uses the Snapdragon 710 chip is probably everything you ever wanted and needed. And it won’t be $1,000. ← Is the LG V35 worth its $900 asking price?